Our master window cleaners provide local Applecross window cleaning services at discounted rates. If you are searching for the best local Applecross window cleaners, you have come to the right place. Not all service providers are created equal. Do your homework when picking the right Applecross window cleaning service. Here are some of the most important factors to look for when choosing the best window cleaners in Applecross. Ask your friends, neighbors, co-workers and business associates for referrals when picking the best window cleaning service. They are the best people to help you if they have worked with a professional window cleaning outfit in the recent past. It may help save your time as well as money in the long run. The internet also offers so much of information in this regard. 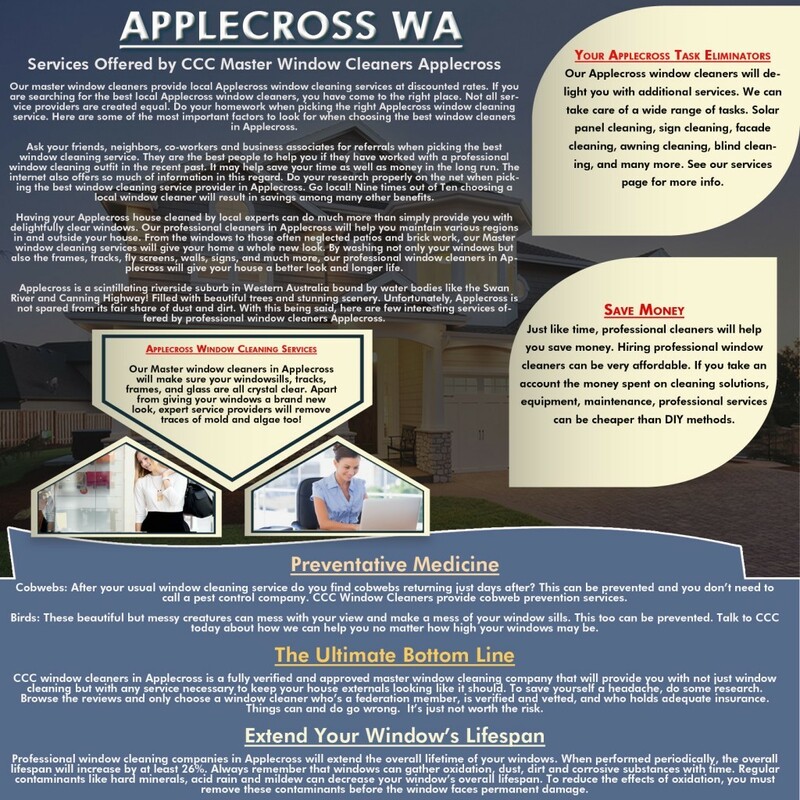 Do your research properly on the net when picking the best window cleaning service provider in Applecross. Go local! Nine times out of Ten choosing a local window cleaner will result in savings among many other benefits. Having your Applecross house cleaned by local experts can do much more than simply provide you with delightfully clear windows. Our professional cleaners in Applecross will help you maintain various regions in and outside your house. From the windows to those often neglected patios and brick work, our Master window cleaning services will give your home a whole new look. By washing not only your windows but also the frames, tracks, fly screens, walls, signs, and much more, our professional window cleaners in Applecross will give your house a better look and longer life. Applecross is a scintillating riverside suburb in Western Australia bound by water bodies like the Swan River and Canning Highway! Filled with beautiful trees and stunning scenery. Unfortunately, Applecross is not spared from its fair share of dust and dirt. With this being said, here are few interesting services offered by professional window cleaners Applecross. Our Master window cleaners in Applecross will make sure your windowsills, tracks, frames, and glass are all crystal clear. Apart from giving your windows a brand new look, expert service providers will remove traces of mold and algae too! Cobwebs: After your usual window cleaning service do you find cobwebs returning just days after? This can be prevented and you don’t need to call a pest control company. CCC Window Cleaners provide cobweb prevention services. Birds: These beautiful but messy creatures can mess with your view and make a mess of your window sills. This too can be prevented. Talk to CCC today about how we can help you no matter how high your windows may be. CCC window cleaners in Applecross is a fully verified and approved master window cleaning company that will provide you with not just window cleaning but with any service necessary to keep your house externals looking like it should. To save yourself a headache, do some research. Browse the reviews and only choose a window cleaner who’s a federation member, is verified and vetted, and who holds adequate insurance. Things can and do go wrong. It’s just not worth the risk. Professional window cleaning companies in Applecross will extend the overall lifetime of your windows. When performed periodically, the overall lifespan will increase by at least 26%. Always remember that windows can gather oxidation, dust, dirt and corrosive substances with time. Regular contaminants like hard minerals, acid rain and mildew can decrease your window’s overall lifespan. To reduce the effects of oxidation, you must remove these contaminants before the window faces permanent damage. Window cleaning is a very long process that requires lots of care and concern. Conversely, professional service providers will help you save time. Washing windows will definitely steal your precious time. 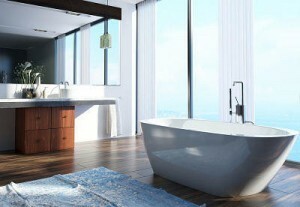 And, the idea of cleaning windows during weekends can be a daunting one too! If you want your windows to be wash effectively and efficiently, you should opt for professional window cleaning services in Applecross. The experts will offer you high quality assistance and timely support. Just like time, professional cleaners will help you save money. Hiring professional window cleaners can be very affordable. If you take an account the money spent on cleaning solutions, equipment, maintenance, professional services can be cheaper than DIY methods. Moving on, our Applecross window cleaners will delight you with additional services. We can take care of a wide range of tasks. Solar panel cleaning, sign cleaning, facade cleaning, awning cleaning, blind cleaning, and many more. See our services page for more info. © 2013 - 2019. CCC Window Cleaning. All Rights Reserved.